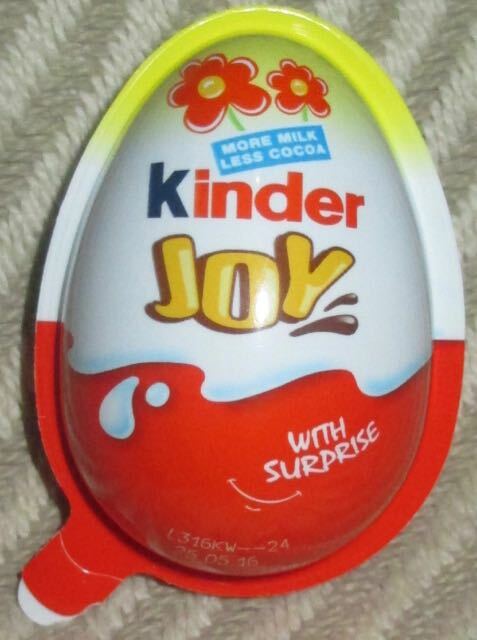 It turns out I'm not completely up to date with the Kinder Egg variants in the UK at the minute, I picked up a Kinder Joy Egg thinking it was a Kinder Surprise Egg which ironically turned out to be a bit of a surprise. Sure I noticed the packaging had changed but I hadn't quite quite realised what a significantly different contents there were going to be. 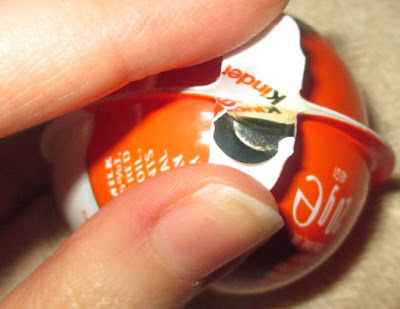 The first issue was to unpack the Kinder Joy Egg, there were a couple of tabs at the side which I pulled at a bit. It was difficult to open because I still thought I was unwrapping a whole egg, so I was pulling at it wrong. When I worked out the egg was going to split into to halves, the packet came apart easier. I was then left with a dark side and a light side, and what looked like a plastic spoon / scoop. Curious and curiouser. I peeled off the wrapper from one of the halves and was rewarded with some very interesting contents. 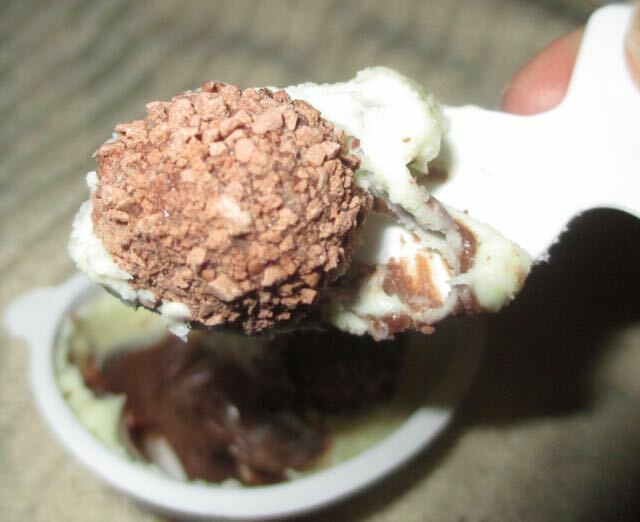 Inside the egg were two chocolate looking balls on what looked like a bed of white chocolate spread. I used the scoop to investigate further and underneath the white chocolate spread was a chocolate and hazelnut spread. The chocolate balls were crispy with wafer and also nutty. This section of the egg was very tasty and fun to eat. There were such sweet, chocolatey and nutty flavours it felt like a proper treat. Once I had finished off every bit of chocolate nut spread I could I went onto the next section. I felt I was on more familiar territory here as it was a Kinder Egg toy to build. Initiate inner child. 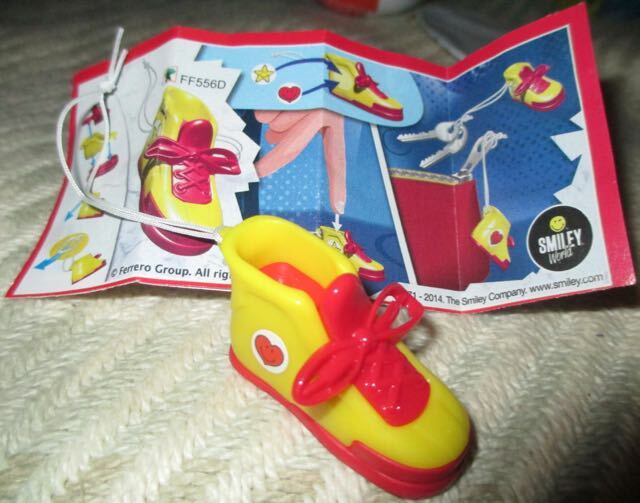 My toy turned out to be a trainer, complete with stickers, to hang on a zip pull. It wasn't too taxing to assemble, but it was still fun and took me back to my childhood. 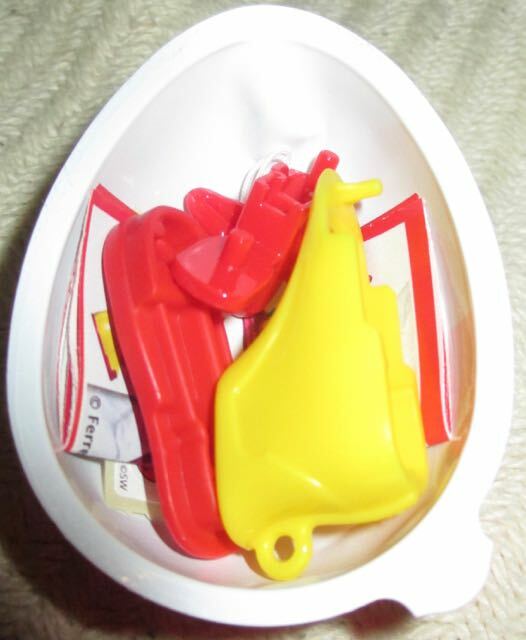 In conclusion I really liked the concept of the Kinder Joy Egg they are a little bit of fun at Easter.